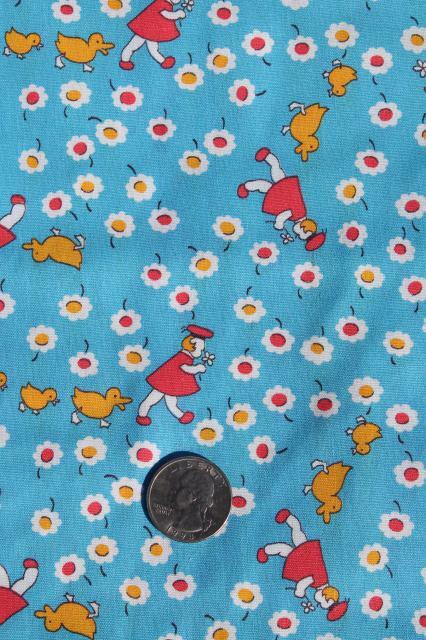 girl w/ daisies & baby ducks print cotton quilting fabric, reproduction 1930s vintage? 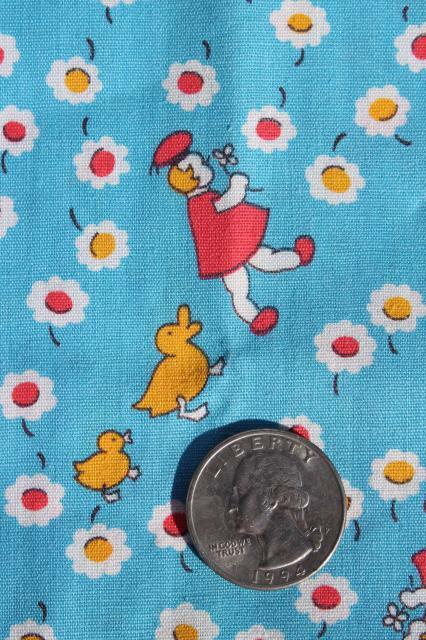 Cotton print quilting weight fabric... the print looks 30s to us, but the fabric is 46" wide full width, so we're thinking it's a newer reproduction of an old print? 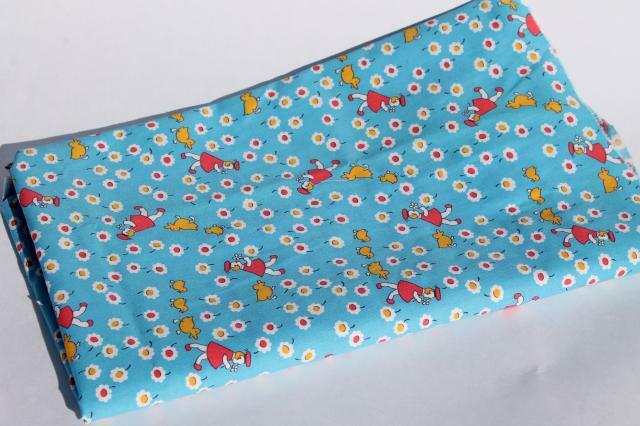 This is a 1 yard piece, in excellent condition.